Hillary Clinton is our final protective barrier against a massive Trump forest fire now raging across our land. She is the firewall standing between a fire which should have been stopped when it began June 15, 2015, as an anti-Obama racist birther flame. On November 8, voters will have to choose: Support Hillary Rodham Clinton; make a naive gesture for a third party candidate; vote for a retired general or Aunt Maud; or vote for Donald J. Trump. I chaired George McGovern’s Illinois convention delegation in 1972 when one young McGovern delegate told me she would cast her vice presidential nominating vote for her mother. That irresponsible act was an early warning to me of misguided idealism in politics. It revealed an immaturity on the Miami convention floor in 1972. In 2016, it flames the fires of tyranny. Melania Trump said the man in the 2005 video is not the man she knows. But he is the man the rest of us know. To vote for him, you have to pretend you don’t know who he really is — or choose not to care. I’ve never believed that the Republican leadership really disagreed with Trump’s fringe views. They just didn’t like the way he expressed them, because it exposed some powerful and disturbing currents in their party. South Korea’s Samsung headquarters knew what to do when its phones started exploding; it canceled production of its Galaxy Note 7 smartphone. It is too late for the GOP to cancel anything. Ballots are printed and early voting has begun. In a report under the heading, “Trump declares himself free from ‘shackles’ — and threatens to burn the GOP to the ground.” Raw Story’s Brad Reed sees Trump at war with the GOP he conned into letting him be their nominee. If Donald Trump is going down, he’s going to try to bring down everyone else with him. In a furious tweet storm on Tuesday, Trump ripped House Speaker Paul Ryan for his “weak and ineffective” leadership and accused him of being disloyal for saying on Monday that he was finished defending Trump’s candidacy. Trump declared that Ryan’s betrayal had freed him from his “shackles” — and he could now campaign for the presidency without any kind of filter at all. Few media voices have arisen to question Trump’s psychological make-up, which makes him unfit for the high office he now seeks. Such reluctance is understandable. Medical experts are unwilling to attribute mental conditions of individuals they have not personally examined. David Brooks bravely puts forth his personality assessment of Trump in his New York Times column, entitled, Donald Trump’s Sad, Lonely Life. Brooks’ lay diagnosis is simple: “Trump continues to display the symptoms of narcissistic alexithymia,” a psychological category which may be studied on the internet, through such sources as this essay in Huffington Post. Politics is an effort to make human connection, but Trump seems incapable of that. He is essentially adviser-less, friendless. His campaign team is made up of cold mercenaries at best and Roger Ailes at worst. His party treats him as a stench it can’t yet remove. . . . Imagine if you had to go through a single day without sharing kind little moments with strangers and friends. Imagine if you had to endure a single week in a hate-filled world, crowded with enemies of your own making, the object of disgust and derision. Trump continues to display the symptoms of narcissistic alexithymia, [which is] the inability to understand or describe the emotions in the self. Unable to know themselves, sufferers are unable to understand, relate or attach to others. Trump’s supporters are likely to ignore such a description, but it is nevertheless, one way of understanding how this raging forest fire has been sweeping through our political life. Trump has been a professional entertainer and a builder of massive structures. He had not been previously examined in the court of public opinion as a political leader or as the President of the United States. Hillary Clinton, like candidates before her, is flawed. Her husband has been a burden to a wife with a single-minded vision. That same husband, however served two successful terms in the White House, even as his own careless personal behavior embarrassed the nation. Hillary Clinton is smart, determined and wise to the ways of politics. She demonstrated this in her leaked private meetings with donors. In one private donor meeting, she spoke of two levels of political thought, the public and the private. She was referring to Steven Spielberg’s film, Lincoln, with a subtle perspective any perceptive viewer could share. Lincoln lacked social polish but he had great intelligence and knowledge of human nature. The hallmark of the man, performed so powerfully by Daniel Day-Lewis in Lincoln, is calm self-confidence, patience and a willingness to play politics in a realistic way. 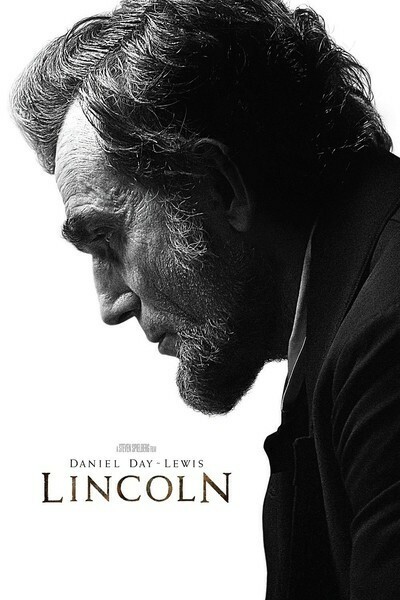 The film focuses on the final months of Lincoln’s life, including the passage of the 13th Amendment ending slavery, the surrender of the Confederacy and his assassination. Rarely has a film attended more carefully to the details of politics. Lincoln believed slavery was immoral, but he also considered the 13th Amendment a masterstroke in cutting away the financial foundations of the Confederacy. In the film, the passage of the amendment is guided by William Seward (David Strathairn), his secretary of state, and by Rep. Thaddeus Stevens (Tommy Lee Jones), the most powerful abolitionist in the House. In his script for Lincoln, Tony Kushner delivers a Lincoln who maneuvers through a divided Congress by sharing his private convictions with a limited few, while persuading his opponents that they should agree to his public position that both sides benefited from Lincoln’s political agenda. In Sunday’s second presidential debate, Hillary Clinton was attacked for having said to a private donor group that a good politician has a personal and a public perspective on political issues. When pressed at the debate, Clinton said she was referring to the Spielberg movie, Lincoln. The media had missed the possible connection of her personal/public opinion to how effectively a politician like Lincoln operates on those two levels. Trump attacked Clinton for dragging Lincoln into her campaign. He demonstrated no depth of awareness of either the film or the the historical Lincoln. Movies that rise above entertainment are both “about” that which is obvious on the surface, and “are” something deeper in the dynamics of a film. Hillary Clinton knows the difference. She referenced that difference in her private remarks. If she is elected, she will have many opportunities to choose between the surface military option or following the deeper diplomatic option in both foreign and domestic battles. She will see this even more clearly once she is in the White House. It is reassuring that she understands the two-level decision-making of master politician Abraham Lincoln. This entry was posted in -Movies and politics, Archives, Donald Trump, Hillary Clinton, Politics and Elections. Bookmark the permalink. Jim, you are asking readers to stake their futures on wishful thinking: “She will see this even more clearly once she is in the White House,” that is, the alternative to “the military option.” She’s been there, done that. The result has been bloodshed, lots of it, and disruption and displacement of countless millions of lives. But I ask you: Which candidate(s) is more likely than not to bring us to the brink of war, possibly nuclear war, with Russia? I think there is at least one. If so, this must be the only criteria for making your choice. Jim, thanks for your portrait of this deeply troubled human being. During Debate #2, his infantile immaturity stood out for all the world to see (if wiling). Psychologists call it “Projection”. All of the repressed guilt and shame, crookedness and hatred that is in the Man was projected onto Hillary Clinton. He never used the word “guilt” of course. He has never done anything from which to repent. He knows the word “disaster” and “absolute failure” and “worst” and “shame”. He is unable to see the log in his own eye. He sees the speck of dust in his neighbor’s outlook. You ought to be “ashamed” of yourself” he said to her. And later, out of the Black Hole in which he dwells, he actually accused her of “having hatred in her heart”. He condemns himself, without knowing it. His “locker room talk” is just “words” revealing he has no sense of the meaning of words, that his words are like water poured out onto sand and disappear into nothingness. Nothing he says is believable. He speaks from the heart, and the heart is dark, devilish, bullying, contemptible, hateful and destructive. Everyone and everything outside of his universe is black, broken, a disaster, corrupt, wrong and hateful. Everything that originates from him is light, fixed, right, glorious and loving. He tears at the delicate fabric of our communal life so we walk around in rags. He has dragged civil discourse into the ugly gutter. We are all wallowing around in the muck and filth of his sewer. Instead of seeing himself as the epitome of GOP excesses against our African-American President, he sees Clinton as the embodiment of Obama’s “failed” policies, in every sphere of social, political and global life. He is incapable of seeing any “failures” in himself, his businesses, his personal life, or his social or political behavior. There is no good apart from him, his mercurial temperament, his savvy business acumen. I’m attaching a link to a petition crafted by respected “American evangelical Christians” that I’ve signed (and commend it to others, even those who don’t see themselves as evangelical Christians like me). Hillary has never seen a war she didn’t like, especially if it benefited Israel. Having voted for the destabilization and destruction of Iraq, she engaged in “regime change ” in Syria where the population overwhelmingly supported Assad. After that “she came, she conquered, he died” ie. Quaddafi, in order to destabilize Libya and spread arms throughout the region. Now she is fulminating against Putin and bringing the world closer to nuclear Holocaust. No one could possibly be less deserving of becoming POTUS than Hillary. I remember the McGovern and Carter campaigns you spearheaded. I was a loyal foot soldier doing what ever was needed including poll watcher. Thanks for heading up the Democratic effort, Jim. Your excellent review about Donald Trump simply underlines the fact that Trump would be a total disaster for our country on all fronts, but especially in foreign relations. As to Hillary Clinton, I detect a most deceitful and devilish Israel-inspired plan: To break up Syria. It reminds me of the moment that George Bush Sr. established an “enclave”, or a “No-Fly Zone”, in Northern Iraq, back in 1991/1992, when the US first invaded Iraq, I immediately recognized that the so-called enclave was not to protect people, as such, but rather to establish and propel a secession that would lead up to the break up of Iraq. And this has been happening ever since. I now detect the same Israel-inspired plan for Syria. As I see it, the plan is to ensure that Syria is broken up, by establishing in strategic parts of the country the innocent sounding, “No-Fly Zone”. The real plan is to do so in order to ensure the break-up of Syria into mini-states. According to such a calculation, the Israeli inspired plan would be to replace Syria and Iraq by mini fiefdoms that are easier to control and remove any resistance for Israeli occupation and expansion towards its goal of “Greater Israel”. This column used to be an interesting discussion of Israeli injustices against Arabs in Palestine, and the errors of American foreign policy in the Middle East. Now it has become a forum for harangues which reveal the failure of the Democratic Party since Jack Kennedy’s death. Hillary Clinton a fire wall against Trump? You seem to have overlooked the rank corruption of the DOJ and FBI that prevented Hillary’s indictment for a crime which would have disqualified her from becoming President, not to mention the evidence which shows that Vince Foster was murdered, and did not commit suicide. You seem to think that the October surprise of last weekend was justified, even though the same kind of invasion of privacy would have brought down J. F. K., and lost the Cold War in the jungles of Vietnam. Said October surprise proves only that we have in the United States which is run by a private banking cartel in illicit control of money and credit and the major news media. A great nation cannot and should not survive if it allows such distortions of power. And your hysterical outbursts against Trump protest too much, for they prove that party-line Democrats, like yourself, are morally responsible for failure even to attempt finding an acceptable candidate for the American people, not chosen by the Council on Foreign Relations as the voice of Wall Street, giving directions for the Republican National Committee and the Democratic National Committee. I was once a Democrat, and then worked to assure that the party nominated candidates who were worthy of public trust, which is a duty you failed even to attempt carrying out in 2016, and forfeiting any right to complain against the man who defeated Wall Street’s choices for the Republican nomination. I have been calling this the Sophie’s Choice election. Both choices are very bad, though admittedly, not equally bad. I am thankful that I do not live in a swing state. Thank you Jim for a good analysis , although I tend to agree with you on many points regarding Hillary, versus the comedian Trump , I have many reservations as to her policies, attitudes.and affiliations. As I predicted some time ago in my blog, she will win by a land slide, while Trump and his campaign will implode, it’s happening , it could prove dangerous though, as she will be even more totally unstoppable. The other very important side , is to keep pounding Trump and his tactics , for future generation’s purposes , so that our youths and the world’s, learn that playing lightly with such issues, misjudging totally personalities for presidential elections, especially when dealing with superpowers , could lead to huge disasters. It happened before historically and it shouldn’t be repeated . Hillary Clinton is a tried politician and an experienced public office personality, her husband was a successful two terms president, no matter what heir private past was, unlike her light headed opponent, let’s keep this in mind by election day. I am voting Green Party, Jill Stein, for the good of the People, Planet, & Peace. Thanks for having a clean, concise website.